In your personal 60-minute guided session over the phone with Fern Olivia, you will journey into a place of stillness, peace and relaxation - the condition your body needs for healing. Float free and bring back with you a healthy vision of your future as you become the witness to your true healing potential. This form of yoga not only provides deep relaxation and helps sleep patterns but can also improve concentration, digestive issues, release stress and enhance intuition. Fern’s unique Thyroid Yoga Nidra practice is designed to clear out your personal energy field and revitalize your entire body, mind and spirit. Through body awareness and relaxing visualization techniques, you’ll enter a deeper state of consciousness and invite fresh, healing energy into the body. This practice is perfect for those who struggle with sleep, anxiety, and restlessness, or those who need a moment to relax and reset. Fern’s approach to Yoga Nidra directs your awareness to each part of the body, alternating right and left, through the medium of the third-eye. This balances the hemispheres of the brain and cultivates intuition. Be sure you're in a quiet place where you can comfortably lie down for the Yoga Nidra practice. A blanket to cover yourself, and a pillow, as well as an eye mask if you have one, are recommended. Also, have your journal and a pen on-hand for the writing prompts after your session. Try to keep the kids, pets, and partners at bay if you can - this is your time for self-care and renewal! Yoga Nidra is a voice-guided meditation performed lying down in bed or on a yoga mat. It includes includes a body focusing exercise that creates a circuit of energy in the motor cortex to relax the brain, some breath and sound awareness practices, and some visualization activities. It is derived from an ancient Tantra yoga practice and is a simple and efficient way to deeply relax while remaining conscious to reduce anxiety, stress, and insomnia. During the practice, we sink into the parasympathetic nervous system and enter the hypnogogic state, the state between being awake and being asleep. Just a 15-20min practice provides the benefits of 4 hours of sleep. Thyroid Yoga Nidra has tremendous benefits in both hypo and hyperthyroidism for reducing stress and calming down the nervous system. For those with hyperthyroidism conditions, who may find it difficult to sleep at night, Thyroid Yoga Nidra can work like a power nap during daytime so that your body gets sufficient rest. 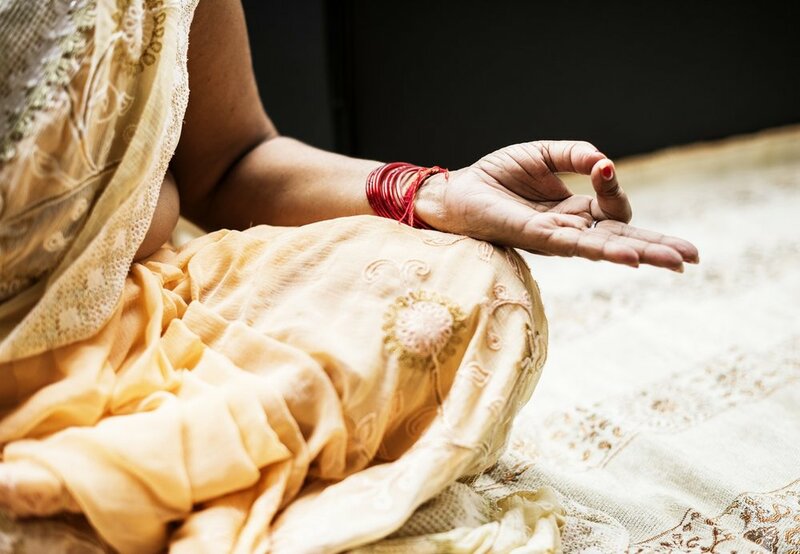 A recent study in the Journal of Caring Sciences showed the effects of Yoga Nidra on patients with menstrual and thyroid disorders and a similar study showed benefits for those with anxiety and depression. There was significant change in TSH, FSH, LH, and Prolactin levels in intervention group as compared to the control group. TSH, growth hormone, and prolactin imbalances were benefited significantly. Metabolic effects of meditation (Yoga Nidra) includes a decreased adrenocortical activity, long term decreased cortisol secretion and lesser thyroid stimulating hormone (TSH) abnormalities. Metabolic effects of meditation (specifically Yoga Nidra) includes a decreased adrenocortical activity, long term decreased cortisol secretion and decreased thyroid stimulating hormone (TSH). Imbalances in the hormonal profile also predispose women to depression, especially in relation to pituitary, thyroid and reproductive hormones. The practice of hatha yoga and Asanas (such as Thyroid Yoga movement and Kundalini Yoga) have been found to be extremely effective in rectifying the situation.